There is nothing worse than when you are at the end of your holiday and you have to check out of your Airbnb hotel and you have to wait for ages until you can catch your train or plane home. You either need to find somewhere safe to store your luggage or cart it around with you everywhere you go. Taking your luggage with you is not a good idea, particularly if you are in and around London. Due to extra security measures at many of the tourist hot- spots, you will not be allowed large rucksacks or suitcases with you in most of the buildings. This can be a nightmare scenario. some hotels will allow you to leave luggage safely and pick it up later, but if you have rented a holiday accommodation privately, such as with Airbnb then this is not going to be possible. So what are your other options? 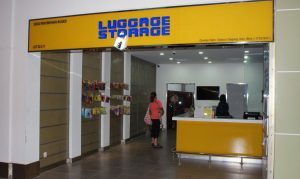 You might want to consider an online luggage storage service, these can be very reasonably priced, for just a few pounds per day, you can store luggage securely. You can book it easily online – just select the city where you will be staying and it will show you all of the places that offer luggage storage plans. Some hotels and railways stations will hold your luggage for you, so just pick the one most convenient for you. An online service like this usually requires payment when booking, not when you drop off or collect the luggage, but whatever the terms and conditions are of the luggage storage company you use, it is important to ensure that your luggage will be secure and fully insured when you leave it. The website of a reputable service will make this clear right from the beginning before any booking or payment is taken.